With Sticker Stories: At the Zoo, kids tell their own zoo stories with drawing exercises and 150+ stickers! Create your very own zoo adventures by telling your story with stickers! The zoo is filled with so many colorful characters, from lions, tigers, and bears, to gorillas, hippos, and monkeys, and there are so many stories just waiting to be told. Sticker Stories: At the Zoo is your chance to tell these stories yourself! This unique activity book features fun story prompts and colorful scenes to complete. 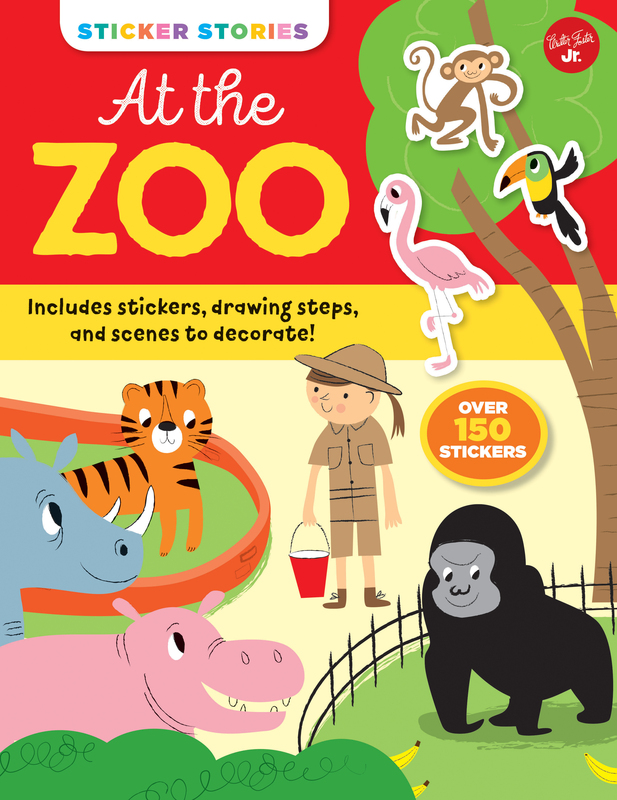 With more than 150 stickers and some simple step-by-step drawing lessons to make the scenes your own, Sticker Stories:At the Zoo is a fun, interactive book that provides hours of entertainment. Featuring Nila Ayes cheerful, retro-modern illustrations and simple step-by-step drawing instruction, this book encourages imagination and creative play by allowing kids to tell their own stories and express themselves through drawing. The simple prompts and colorful stickers will have young creative types telling tall tales and learning to draw in no time. It's the perfect jump-start into storytelling and drawing for young authors and artists! After graduating from her sell-out show at Central Saint Martins in 1995, Nila Aye became a firm favorite of the London illustration scene. Nila is influenced by mid-century design and childrens books from this era. She describes her work as "Retro modern with a cute twist, and a touch of humor." Nilas style is loved by adults and children alike and popular with fans around the world.